Pear-shaped acoustic lap steel based in a design made in the 1920´s by Chris Knutsen. 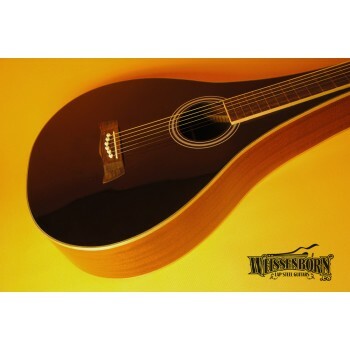 It has full laminated mahogany with gloss black top, and deep body design. Yes, old Chris would kill us if he knew we made the same guitar more than once, but its modern times. 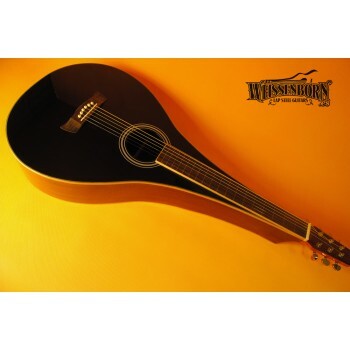 Established 2005, our company is committed to providing the European musician with the widest range of stringed instruments at unbeatable prices. ©Weissenborn, S.L. 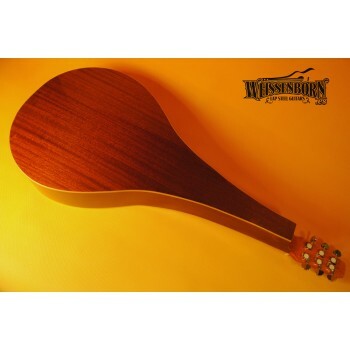 Apart from slide guitars, we sell a wide range of folk musical instruments trough our Banjos.com site.